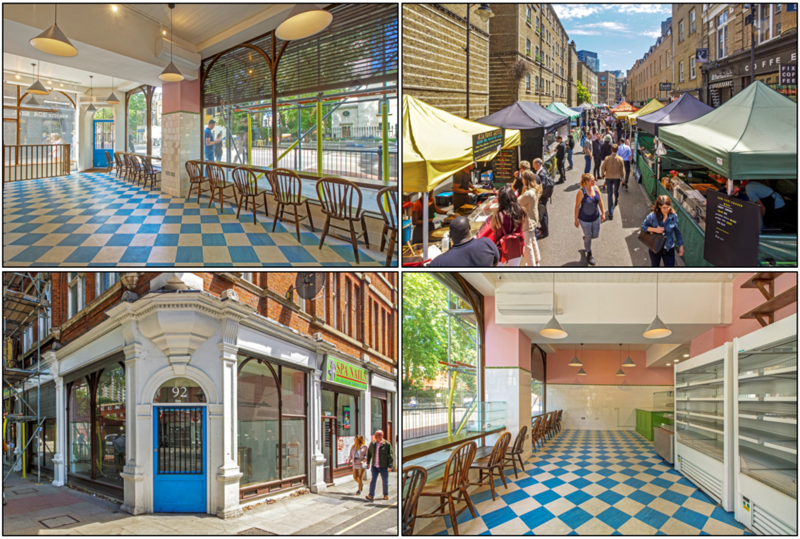 92 Old Street is an A1/A3 retail unit on the Golden Estate that can be accessed from the corner of Old Street and Whitecross Street, a prominent corner pitch with a high footfall. The 1,224 sq. ft. space has recently been refurbished and fitted out to a very high standard and boasts excellent floor to ceiling heights and natural daylight at ground floor. The return frontage is 8.3m on Old Street and 3.4m on Whitecross Street. Whitecross Street is widely known for its thriving lunch-time market that attracts an overabundance of nearby office workers seeking to sample the delights on offer. 92 Old Street is available immediately at a passing rent of £38,000 per annum exclusive. Premium in excess of £50,000 is sought. For further information, please contact Anton Page on 020 7336 1313.